John Singer Sargent was the premier portrait artist for the famous, powerful and well-to-do on both sides of the Atlantic. Sargent's best portraits reveal the essence of his sitters and it is not that they are caught off-guard so much as allowing the viewer to see them in a moment where they are being themselves. Many think Sargents' psychological depth in portraiture is second only to Velazquez. Sargent also enjoyed a rich artistic life outside of the studio: he traveled across continents with sketchbooks in hand, painting landscapes and local people. However, he is most celebrated for the work he did inside the studio. Sargents' American parents decided to move abroad following the death of his older sister and his mothers' subsequent nervous breakdown. They remained in Europe for the rest of their lives, based in Paris but moving regularly to take advantage of the resort seasons in various parts of the continent. Amidst this nomadic lifestyle, Sargent was born in Italy. Although they rejected living in America, Sargents' parents worked to instill a sense of American identity in their children. John Singer Sargent was raised in relative isolation and with little formal schooling. His parents lived off of savings and a small inheritance, attempting to home school Sargent who, despite his free-wheeling nature and love of the outdoors, managed to receive a cosmopolitan education. His parents were both amateur but skilled artists, who associated only with friends from their art circle. Consequently, Sargent became acquainted with several famous artists at an early age. His parents discovered his artistic talents and invested in some lessons for him aged 13. Sargent began his studies in Florence in 1873 but switched to the Ecole des Beaux-Arts in 1874. It was the premier art school in Paris and he passed the grueling entrance exam on his first attempt. Sargents' great talent was quickly noticed which, combined with his excellent French, gained him both recognition and popularity. Sargent studied primarily with Carolus-Duran, a popular French portrait artist whose progressive methods of painting directly onto the canvas allowed for spontaneity. He also spent a lot of time perfecting his craft on his own, painting in museums and in his studio. In keeping with his childhood love of nature, Sargent was more drawn to landscapes than to portraiture. 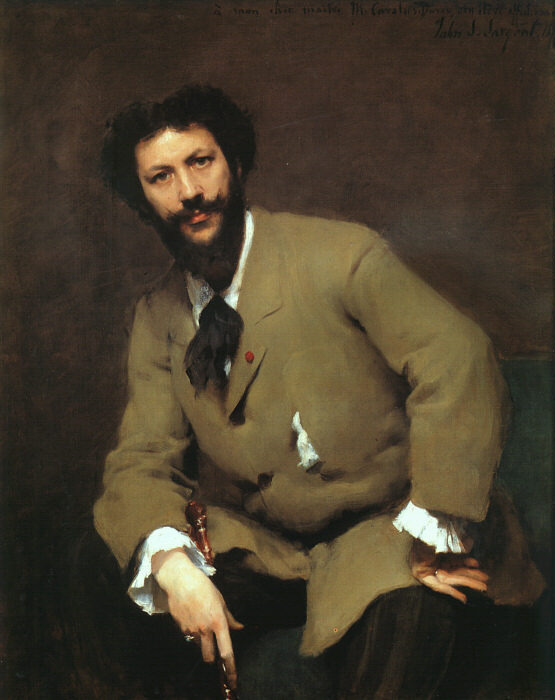 However, Carolus-Duran convinced him that the latter was by far the best way to launch a career as a painter. John Singer Sargent began submitting portraits to the Salon, his art schools' exhibition venue, in 1879 and did so on a yearly basis until 1881. All 3 portraits received critical attention and praise, some of it especially lavish. The Salons' annual, and sometimes biannual, exhibits were acknowledged to be among the greatest art exhibits in the western art world. 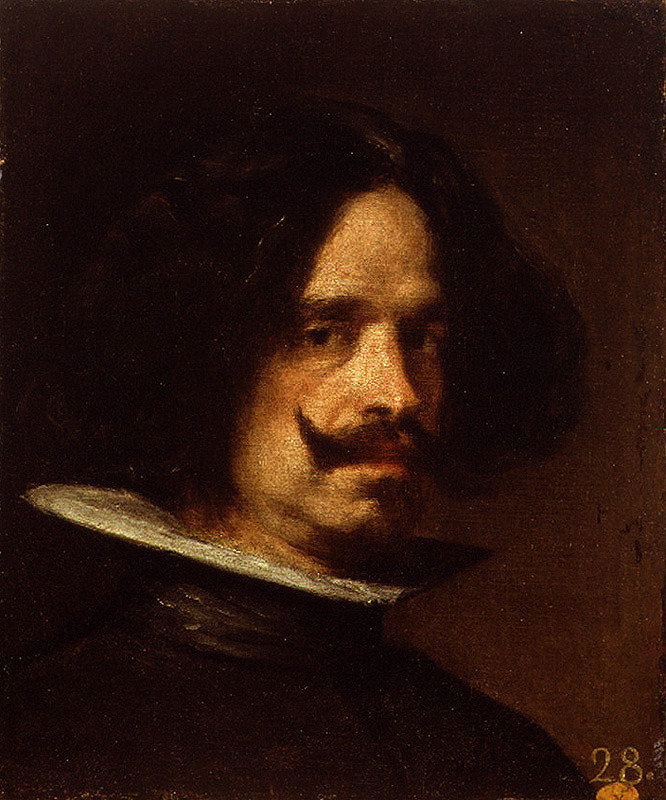 In the midst of this early acclaim, Sargent traveled to Spain to study the paintings of Velasquez, whose techniques would become a great influence on his future works. 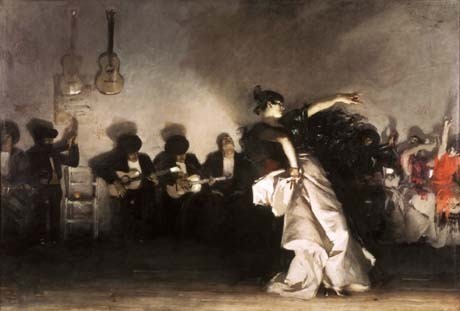 Sargent was also an accomplished musician and while in Spain, he became enthralled by Spanish music and dance, a love he translated onto the canvas with his earliest masterpiece El Jaleo. He later traveled to the Netherlands to study the portraits of Frans Hals. Upon his return to Paris, Sargent received several portrait commissions. His strong work ethic and tremendous discipline allowed him to complete them all and he even painted friends and colleagues in his spare time. Sargent's talent, combined with his perfect French and good manners quickly gave him the reputation of a renowned, emerging portrait artist. 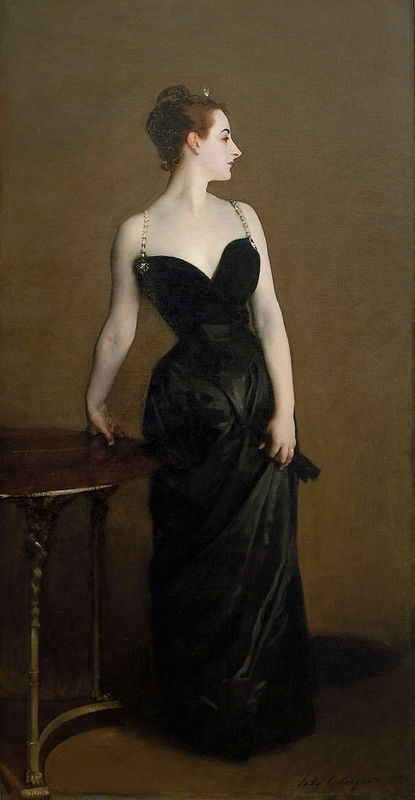 All was going well in Sargent's professional life until he submitted the controversial Madame X. The sitters' unconventional pose and, above all, sensuality, scandalized Parisian society. This included the sitter's mother, who came to Sargent's studios in tears, declaring that her daughter was ruined in Paris and would die of shame. While Sargent considered Madame X to be his best work, the scandal was such that he moved to London soon afterward to embark on a career there. 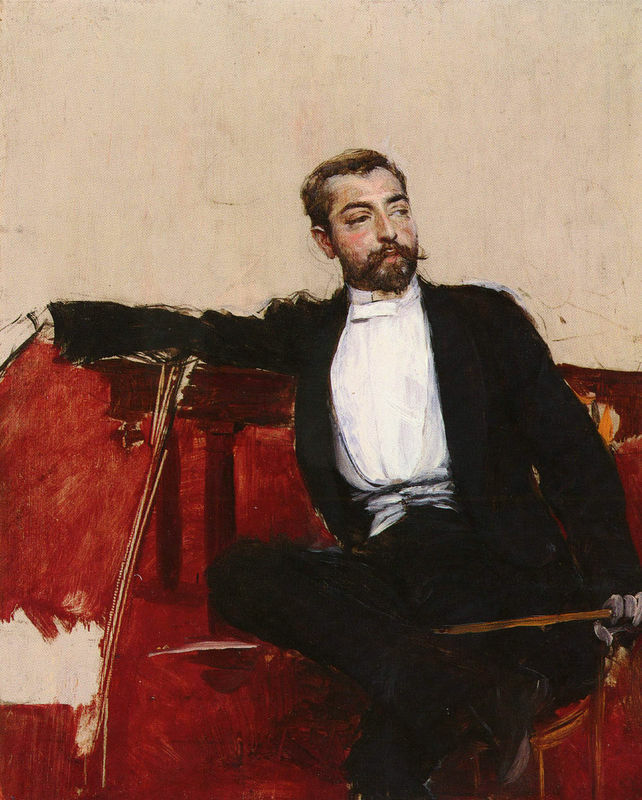 Sargent had been considering the move since 1882 and would probably still have moved there even if the Madame X affair had not happened. John Singer Sargent was already known in England because he had been submitting pictures to its premier art exhibition, the Royal Academy, since 1881. His paintings were initially poorly received, considered too continental and avant-garde. In England, however, one of his sitters, Mrs. White, from the portrait of the same name, helped Singer penetrate British art society and earn commissions for his portraiture. 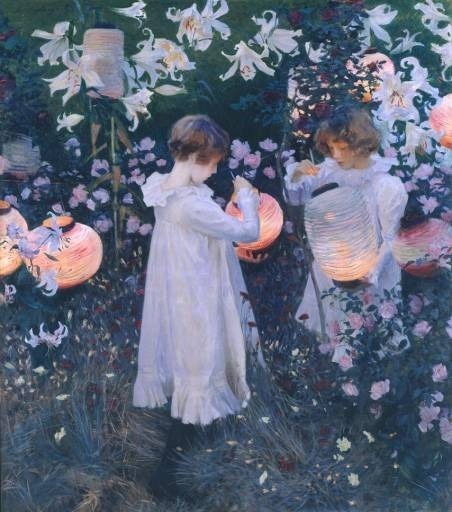 Singer won over the British art world in 1887 with Carnation, Lily, Lily, Rose, his portrait of two little girls lighting Japanese lanterns. Sargent made his first trip to the States as a professional artist in 1887. There he was honored with his first solo exhibition, as well as several important commissions. For much of his career, Sargents' work would frequently take him back and forth between England and America. Unusual for an artist of his stature, Sargent had no assistants, choosing to do everything himself, whether it was artistic (stretching his canvases) or administrative (shipping and documentation). 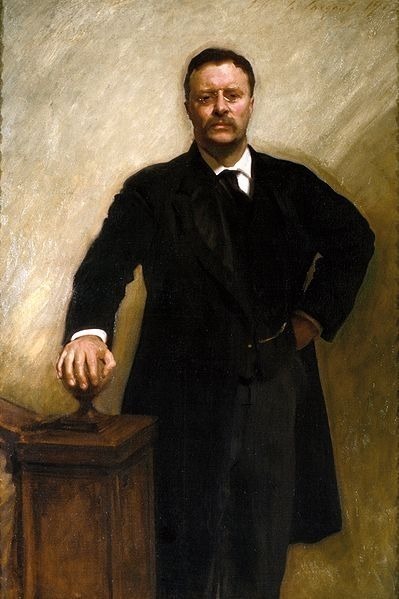 Sargent was extremely productive in his portrait work, painting notables such as U. S. presidents Theodore Roosevelt and Woodrow Wilson. He was particularly known for his 12 portraits of the Wertheimer family, his largest private commission, which took him 10 years to complete. During this time, he developed a close and almost familial relationship with the Wertheimers', which some say comes through in the paintings. 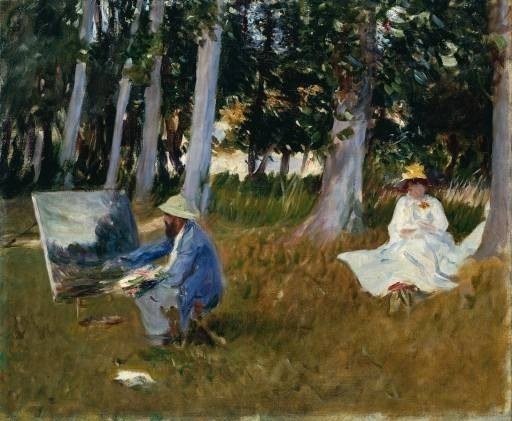 Although not an impressionist, Sargent visited Impressionist exhibitions and flirted with Impressionist techniques. He traveled the countryside of several continents to render his own version of the Impressionistic style. On a visit to Monet at Giverny in 1885, Sargent painted Monet in the Impressionist style, along with acquiring several of Monet's paintings. Though the British classified Sargent as an Impressionist, the French Impressionists, including Monet, thought that the influence of his former teacher Carolus-Duran prevented him from being classified as a pure Impressionist. The advent of World War 1 disrupted Sargents' love of traveling across the European continent. He was sent by England to the front lines in France, where he worked as an official war artist to cover the horrors of modern warfare. After 1907, Sargent famously abandoned portrait paintings, in favor of watercolors of landscapes and exotic people. These works are not as famous as his portraits but they are praised for their technical skill. Sargents' last major works were his historical art murals for the Boston Public Library and the Museum of Fine Arts. Research for these murals allowed Sargent to indulge his love of travel. He toured Egypt, Greece, and Turkey in 1890, and Syria and Palestine in 1905-6 to draw preliminary sketches for the paintings. John Singer Sargent died in London in 1925, right before his completed mural was to be installed on the walls of the Museum of Fine Arts. A life-long bachelor, he left behind no known descendants.